They were not kidding when they said “prepare to die”. Giant bosses, lots of armours and weapons, countless minions blocking your way, and so many souls you will not know what to do with them. Welcome to a land where death can be conquered, heroes are the villains and you have just arrived to make everything better. After many have failed before you. Welcome to the game that will test your patience like no other. Dark Souls, where dying has consequences and there is no way around it. 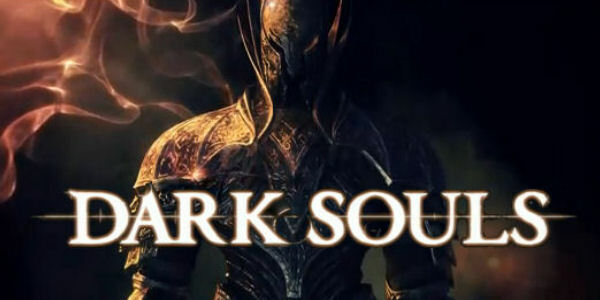 If you have not heard of Dark Souls, I would not be surprise. Many people haven’t which is tragic because this is a game that is fun to play and different from what we are seeing almost all the time these days. It is a fantasy 3rd person adventure that will make you cry. Of joy, sometimes of anger, but mostly joy. Dark Souls takes place in Lordran, a fallen kingdom where great lords have battled the immortality of dragons a long time ago. You will come long after the age of heroes and the age of light. When you make your way to the accursed land, the fire its merely ambers and it is up to you to set it ablaze again. After escaping from the undead asylum, and promising a friend that you would take on his quest, you arrive at Lordran where there are a few NPCs that will guide you or sell you items for souls. Your story start as such and if you thought that once you rang the bell it would be over, you are very very wrong. The story continues but I wont tell you anything because it would spoil everything. Although the greater story is only hinted at, no one ever stops you in your tracks and gives you a giant monologue, it is enough to keep you going. This actually great, or at I thought so. Since they tell you little, it is up to you to make up what happen in between events, and sometimes to imagine what could have happen all together. The little information plus the search of knowledge to know what has happen will keep you going forward. You will go through many different areas, and you will encounter very different enemies along the way. You will not have a map telling you where to go next. You will never get a map actually, so you have to use your observation skills and your memory to know how to get to different places. All areas are connected in one way or another and so you can wonder from one to the other any time you want. Although at the very beginning you will lack some keys to do so. Being able to remember the dangers and short cuts from different place can be very rewarding because it will avoid you dying for no better reason that your forgot about the switch on the floor that kills you. But don’t worry, you will also remember where the bonfires are. Which is very important since the heal you and replenish your potions. At the cost of reviving all foes unless they are bosses or mini bosses. Which means that you better learn to observe your enemies and learn to fight them while getting hit the least amount of times possible. If you though you could just run and hit things left and right as you skipped through levels while smiling and being merry, you will die. You will die so many times that it won’t be any fun. And if you manage to get by all the minions and into the boss, you will die. Because you will probably have used up all your potions while running away. This game is very unforgiving when it comes to fighting. If you do not learn to observe your enemy’s movement and just decide to attack, you will suffer. But, you say, I’m sure that if you attack fast enough they won’t be able to hit you. Wrong! They can block your attacks, and you have limited stamina. So you cant just hit all the time and hope they don’t hit you. Like I said, you have to observe your enemies, and use your stamina in a smart way. This means that fighting any monster can become a big challenge which adds to the games difficulty, which gives you a great feeling after defeating a monster that you were having trouble killing. In that sense Dark Souls is extremely rewarding because you have to learn, and seeing that what you learned helps you move forward is just incredible. Now, game play can be tricky because of your limited stamina that is depleted when attacking, blocking, and dodging. So yes, you have to be careful. Now, if you decided to use a big sword you will make it even harder. Unlike most video games, in Dark Souls wielding a giant sword means that you will move slowly and you will be more vulnerable after attacks. And weapons are not the only thing that can slow you down. Armours have weight, and if you exceed a certain amount you will be the slowest thing in the game and you will get hit a lot. Which makes choosing your weapon and armour very important. You shouldn’t just slap on the first thing that you see that looks cool. But don’t worry, if you find that your weapon or armour are lacking in attack or defence, you can always upgrade them and make them stronger. Which helps a lot, and its very easy to do. By this point, Dark Souls must sound like a game that is best left for people who are so extreme that they do days without eating just to play this thing. Don’t be afraid, anybody can play it as long as they are patient enough and know how to look at things and learn from them. It can be hard but it is far from impossible. Levelling up will help you when you need that extra little boost and you can always summon phantoms that will be happy to help you defeat a boss if you are having trouble. There will be a lot of bosses. And I mean a lot. Some you will remember forever because of how much you will hate them, and others you will remember because of how cool they were. Each boss is different from the last and you should never go in thinking it will be easy. You should always be prepared and ready to do your worst when entering a boss area. And don’t worry, you can’t accidentally walk into their lairs. Before each boss fight there will be a white barrier that you will have the choice of crossing. So arm yourself well and don’t panic. Also listen to the music. The scores are just incredible and you will wish your everyday life could sound as awesome. All in all, Dark Souls has a lot of good points. Is it a game to play five minutes every now and then? No. Is it a game that you will have to spend some time learning to play? Yes. 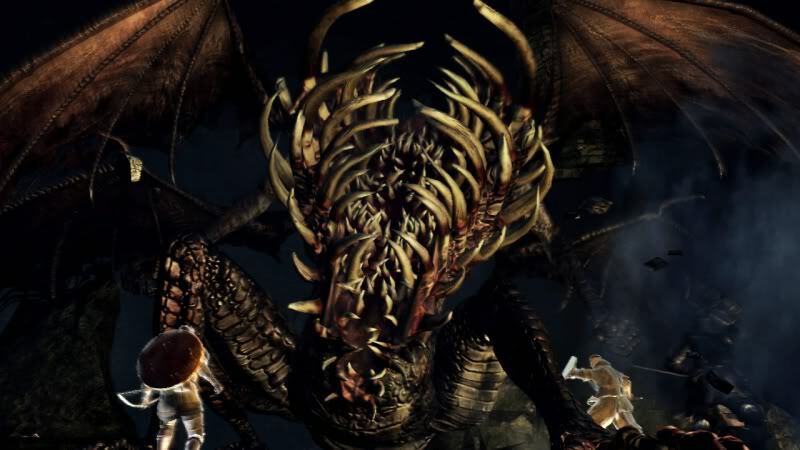 Dark Souls rewards players with keen observation skills and patience. If you lack these it might get a little hard, but you will eventually catch on and enjoy and adventure that you will remember long after you finish it. This entry was posted in Reviews and tagged armors, Dark Souls, die, prepare to die, rpg, weapons. Bookmark the permalink.